This week Google announced during an event held in New York, their new series of Chromebook the HP Chromebook 11. Chromebooks are a really interesting idea, with an even more interesting price bracket. This particular model is priced at $279 and is available for pre-order on Amazon now. What’s Cool about the HP Chromebook 11? Well for me what makes the Chromebook so interesting apart from the low selling point is that the Chromebook represents a move towards a thin device. A thin device is one which uses very low level hardware specifications, but is able to provide a great experience because all of the applications you will be using will be cloud-based applications. Google has recognized the trend towards online storage of files you would normally store on your PC. Dropbox pioneered this, but Google is rapidly moving into this market by introducing a whole eco-system of cloud applications. All of these applications live around Google Drive, and from here you can perform normal productivity tasks such as writing documents, producing spread sheets, creating presentations etc. Google isn’t a new player in this market with Google Drive now proving to be a very mature eco-system. This being a gadget website, we would be remiss if we didn’t mention the technical specification of the HP Chromebook 11. The Chromebook 11 comes with an 11 inch 1366 by 768 display, that appears to have a really nice vibrant display with great color reproduction and good levels of brightness. The processor used is a mobile Samsung 1.7 GHz unit, which should prove to be plenty fast enough to run Chrome OS, and should also be very power efficient considering it’s mobile background. Storage and memory are nothing to write home about with a 16GB solid state drive, and 2GB or DDR3 ram. While not massive numbers, you must remember that this OS is developed specifically to take advantage of cloud processing power, meaning a very lightweight OS, and it also offers 100GB of Google Drive storage. HP have also included some neat design features in the HP Chromebook 11, with speakers coming through the keyboard, meaning that they can install larger speakers with better audio reproduction. The device can also be charged using a micro USB charger provided by HP. This charger can also be used to charge your mobile phone and tablets, providing they include a micro-USB port. This is a fantastic idea for commuters or regular travellers, as there is no greater pain than forgetting a phone charger. Finally the physical design of the HP Chromebook 11 is quite nice. It is available in both glossy white with coloured accents, or a piano black case. Don’t expect this to be made out of high quality aluminium at $279. But the construction is said to be sturdy. Overall the HP Chromebook 11 looks like an interesting device. The small on-board storage won’t suit everyone. But for people looking for a PC for their kids, or a laptop for just surfing the net, you can’t go wrong with one of these. Amazon has shown that the previous generation Samsung Chromebook was a great seller, with it topping laptop sales on Amazon.com, so we should expect a more refined HP Chromebook 1 to do at least as well. 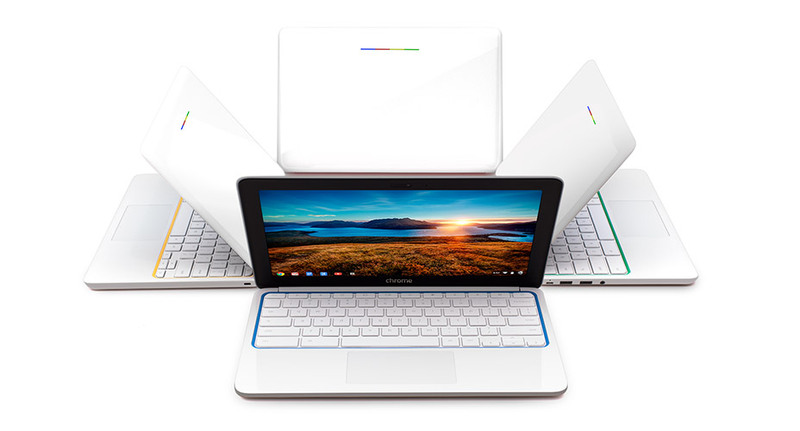 Finally, Google is doing a giveaway for the new HP Chromebook 11 here. What do you think? 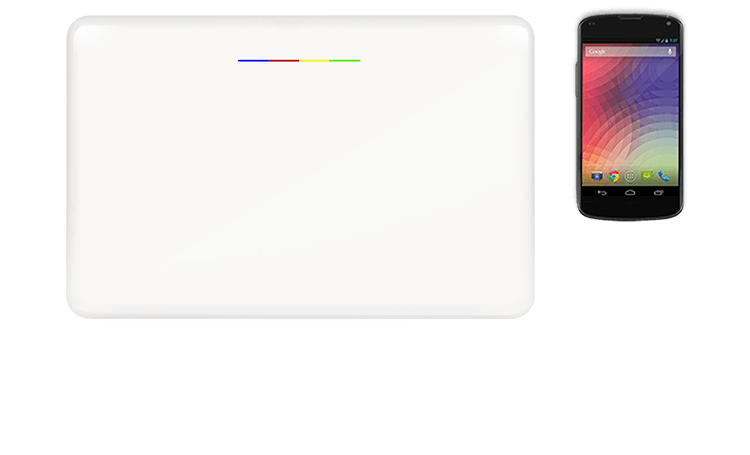 Would a Chromebook work for you? Do you use cloud applications?